Google Drive is a very important tool. You can have your students use it for all kinds of things, like storing files that sync across all their devices. 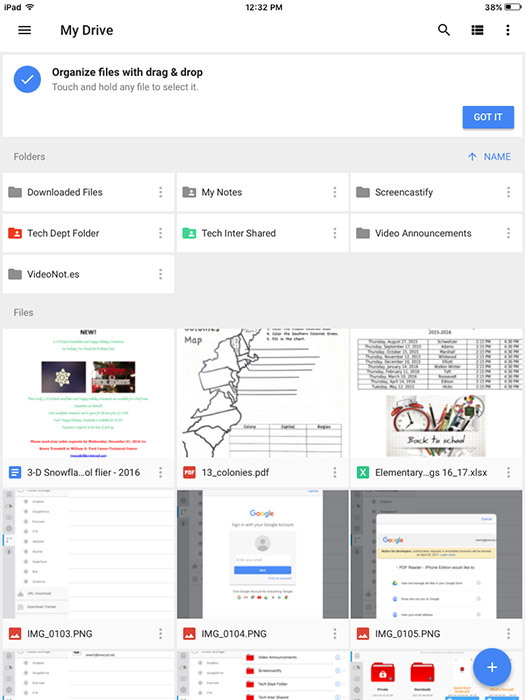 One of the best ways to share projects and push them to each of your students is Google Classroom… because it can push files (like PDF’s) into each students account AUTOMATICALLY. If you haven’t used Google Classroom yet as a sharing tool, check out our tutorial as it may be useful for you right now in your own classroom. Before you start having your students pull files from their Google Drive on an iPad it’s important to understand that, for the most part, our iPads are NOT one-to-one devices and have to be shared. 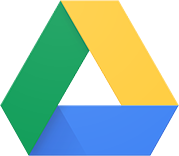 If your students do not understand the importance of logging in and out of the Google Drive account they run the risk of their files being compromised. Not a good thing! Have your students find this App on the iPad. It looks like this. 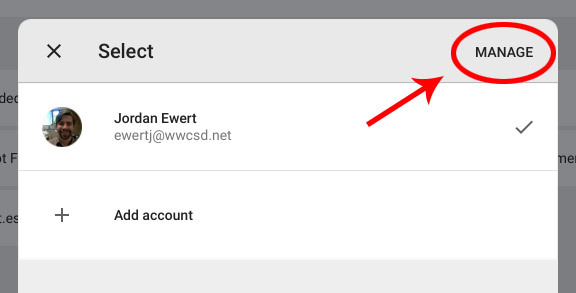 If whoever used this correctly before your student logs in, they should be taken directly to a sign-in screen (step 2). If not, then they will have to log out (see step 4). This is the screen you SHOULD see when a student first logs into Google Drive. Look for the Sign In text in the lower left of the screen. When you are signed in you will see a screen similar to mine below. As you can see, all of my files and folders are visible. If I see all my files I will be able to edit everything I see. 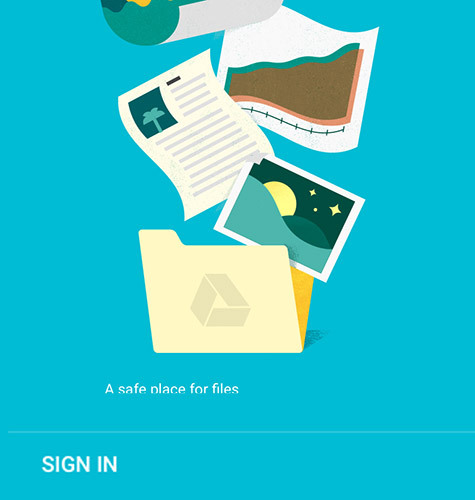 If you would like to log out of Drive follow the steps in the illustration below. 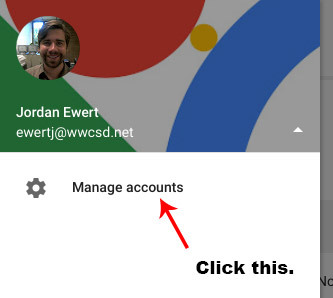 If you opened Google Drive and were logged in as someone who forgot to log out, follow these same steps below and repeat Step 2. First, Look for the Pancake Menu. Clicking the pancake menu opens up your Drive Menu. Click the triangle as shown. Then click Manage accounts with the gear icon next to it. Then select Manage so we can manage all the account(s) that are logged in.